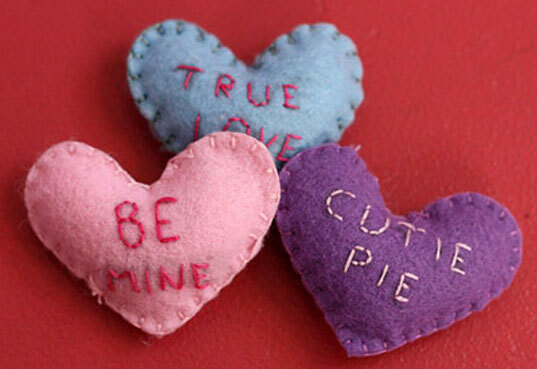 Inhabitots Link Roundup of the Week: Green Valentine Crafts! Lavender and Limes shows us how to make these felt conversation hearts to send sweet love messages without the sugar! The Long Thread makes chic Valentine cards out of recycled materials. Oh So Crafty lives up to her blog’s name by creating a festive and rosy Valentine garland from old magazines! Fun in the Making turns old Rummikub game pieces into love magnets. Cool Mom Picks announces the winners of their Color Your Own Valentine’s Card contest. Cards are for sale and downloadable here, and all proceeds benefit the Children’s Heart Foundation. Ohdeedoh shows us how to sew a lovely fabric envelope and card — a keepsake Valentine that is sure to be cherished for years to come.